The Vailima-based Secretariat of the Pacific Regional Environment Programme (S.P.R.E.P.) has signed a Host Country Agreement, formalising the establishment of a S.P.R.E.P. office in Fiji. 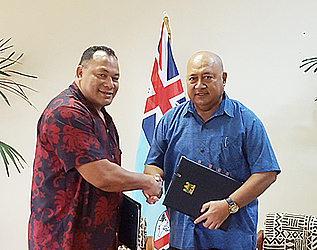 The Director General of S.P.R.E.P., Leota Kosi Latu signed the agreement in Suva with Fiji’s Minister for Foreign Affairs, Ratu Inoke Kubuabola. “This is a special occasion for S.P.R.E.P. 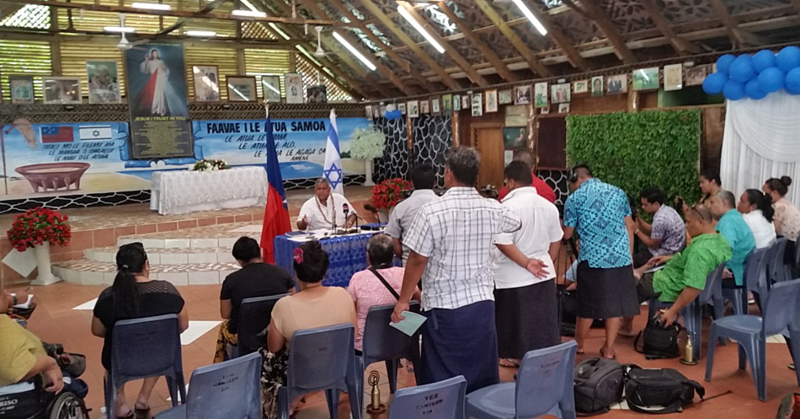 and our members as we work with our Pacific islands to enhance their natural solutions to build resilience against the impacts of climate change,” said Leota. Minister Kubuabola said the signing marked a new chapter in the partnership between the Fijian government and S.P.R.E.P. 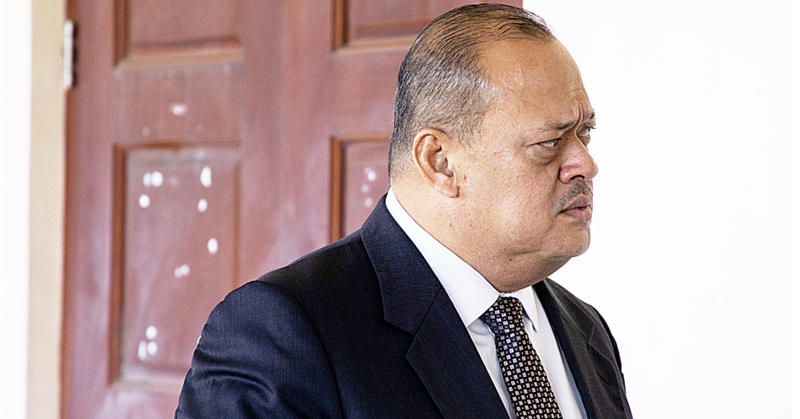 He said the government of Fiji was committed to its obligations towards regional organisations such as S.P.R.E.P. He said the signing of the agreement was a testament to that. This office hosts the Pacific Ecosystem-based Adaptation to Climate Change (P.E.B.A.C.C.) project which focuses on strengthening and protecting the role of natural ecosystem services to enhance resilience with activities in Fiji, Solomon Islands and Vanuatu. The 5-year project which began last year is funded by the German Federal Ministry of the Environment, Nature Conservation, Building and Nuclear Safety (B.M.U.B.) and is implemented by S.P.R.E.P. in partnership with the governments of Fiji, Solomon Islands and Vanuatu. The office in Suva supports the three-country project, and complements the field offices in the Solomon Islands and Vanuatu. 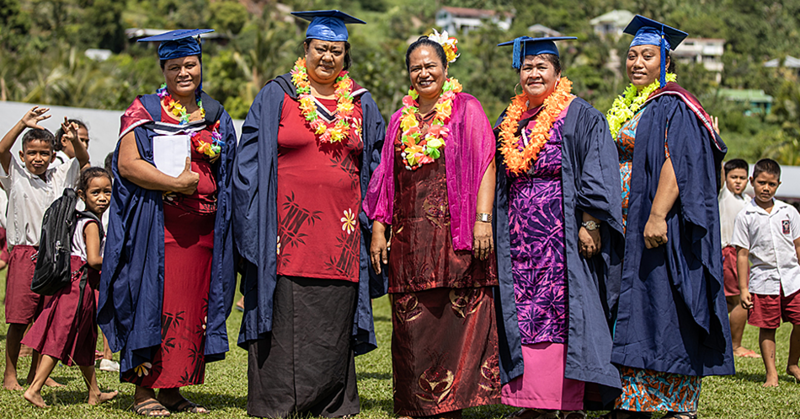 Fiji-based staff includes the P.E.B.A.C.C. project manager, national project officer, communications officer, and finance and administration officer. The Fiji component of the project is gearing up to conduct Ecosystem and Socio-economic Resilience Analysis and Mappings (E.S.R.A.M.) at the project sites of Macuata Province and Taveuni Island. E.S.R.A.Ms will facilitate a deeper understanding of resilience and vulnerability by focusing on the inter-connectedness between social and ecological systems and how these are being impacted by climate and non-climate drivers. The results will inform the identification of options for using ecosystem-based adaptation (E.b.A.) approaches in building resilience to climate change. Options will be costed and prioritised using tools such as Cost Benefit Analysis. The project will assist in the implementation of selected E.b.A. activities to demonstrate the value of E.b.A. approaches to adaptation. This will be complemented by awareness raising, capacity building and policy integration. The E.S.R.A.Ms will be conducted by Watershed Professionals Network (W.P.N.) – a multidisciplinary team of scientists - who are teaming up with locally based cultural expert Simione Tuimalega. National government counterparts in Fiji include the Ministry of Finance, Climate Change Division and the Ministry of Local Government, Housing, Environment, Infrastructure and Transport.